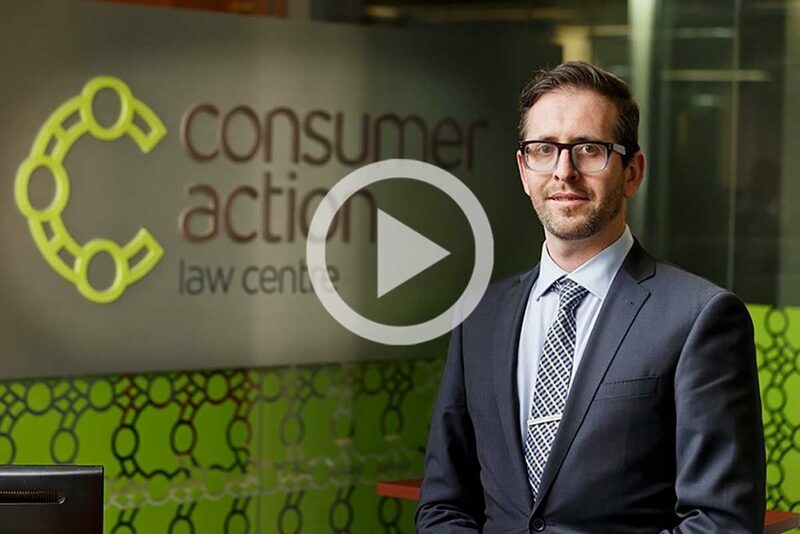 The Consumer Action Law Centre is a campaign-focused consumer advocacy organisation. Based in Melbourne, Australia, it was formed in 2006 by the merger of the Consumer Law Centre Victoria and the Consumer Credit Legal Service. Consumer Action is primarily funded by the Victorian Government, through Victoria Legal Aid and Consumer Affairs Victoria, and the Commonwealth of Australia, through the Department of Social Services and the Attorney-General’s Department. for vulnerable and disadvantaged Victorian consumers. Australia’s largest specialist consumer legal practice. & training to community workers who advocate on behalf of consumers. confidential and independent debt advice for Victorians. As a financial counselling centre, Consumer Action operates The National Debt Helpline for Victoria, a not for profit email and telephone financial counselling service providing free, confidential and independent financial advice to Victorians experiencing financial difficulty. The National Debt Helpline is nationally-recognised as the first point of telephone contact in Victoria for anyone with financial counselling issues. Consumer Action is dedicated to advancing the interests of low-income and vulnerable consumers, and of consumers as a whole. Consumer Action’s Policy and Campaigns Plan 2017-18 sets out our campaign priorities for the year, while our Strategic Plan outlines our vision and goals. The Consumer Action Law Centre is governed by its Constitution which outlines the purpose and objectives of the Centre. You can read our Privacy Statement here, and our Complaints Policy here.